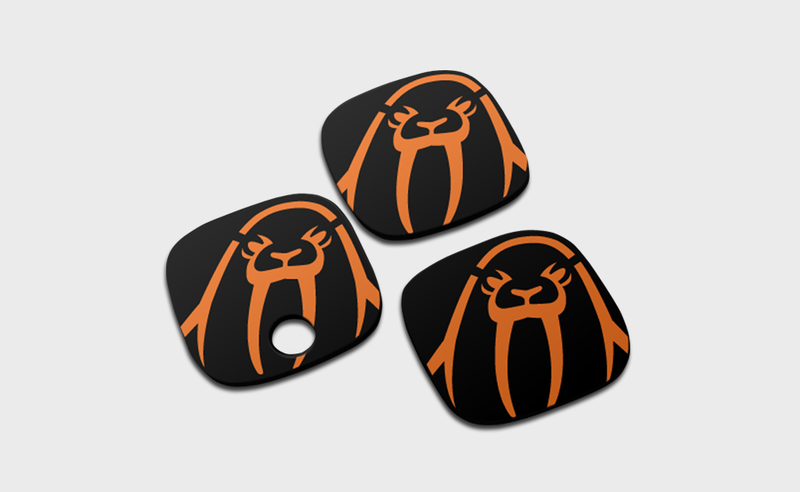 Upper Playground Edition of ASTRO Artist Series Speaker Tags. The classic UP Walrus logo with a satin finish. Set of 3. ASTRO Gaming, creators of premium video gaming equipment for professional gamers, and Upper Playground, leaders in today's progressive art movement, have teamed up to release three Artist Series Speaker Tags for the A40 Audio System. Upper Playground and ASTRO Gaming launched three different Speaker Tag sets featuring the work of Sam Flores, Munk One, and the classic Upper Playground logo.